“This is Nurse Rcubes. How can I help you?” I asked the deputy on the other line who just called over the radio for the nurse’s assistance. “Can you please meet us here in our unit to assess this guy who is covered with blood,” he replied. With my stethoscope dangling around my neck, the medical secretary followed me and was willing to help me out, knowing we were short and technically, I was alone with just the Charge Nurse who needed to stay in the Clinic. Sitting on one of the plastic chairs as we walked in, I saw a glimpse of a big man. With the help of soft glow from the unit’s light, his white shirt was illuminated but it was all red and same with his face. As if we were watching a bloody movie from Hollywood, his face was red all over with his blood. When the deputy walked in, I motioned for the inmate to sit on one of the chairs used in the small clinic in their unit so I could have better access to my medical supplies. The blood trickled from an open gash on his forehead, as I struggled to keep the paper towel over his left arm to prevent my blood pressure cuff from being stained with his blood. Two huge bumps were prominently visible on both sides of his forehead. “Are you okay? What happened?” I started probing after calling for an ambulance so he could be brought to the hospital. “I’m cool, Ma’am. I fell down the stairs,” he clearly stated. As the other deputies started taking pictures of his wounds, I kept working and asking. “Ma’am, I fell down the stairs,” he repeated as he tried to wipe his trickling blood with his towel. “Sir, let me make it clear now…If you don’t tell me the truth, the doctors in ER might not order the necessary tests that will speed up the appropriate treatment for your wounds,” I firmly explained. There was a pause. I knew he was very alert. He was a big man but I sensed that despite his size, he was overwhelmed by many other inmates who intended to hurt him physically. “Yes….I got jumped on…7 guys…” he said in front of me and to the relief of the deputies surrounding us so they could start getting those who were responsible for this assault. Wrapping the open wound, I gave him some oxygen through the nasal tubing. With all the amount of blood that dried up all over him, I knew the gash was not the only injury. There had to be some other parts of his body that got hurt. When he was brought back from the hospital, he looked way clean. And the doctors noted that he had some fracture inside his nose. But it didn’t end there. It was only the beginning of his battle. He had to give the names or faces of those who assaulted him. His blood was the proof of the extent of the crime those other inmates did. It was photographed, too. With Jesus, it was the opposite. Unlike that inmate’s white shirt dirtied with blood, with Jesus’ blood, it is hard to imagine that only His blood makes our lives white. But that is the Truth! 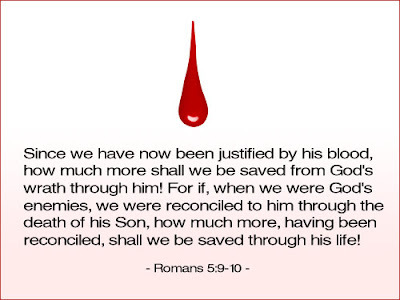 Only by the sinless blood of the Lamb any one can be cleansed and purified. This is the only way! 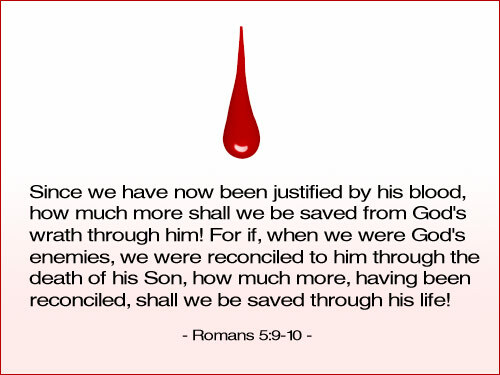 This is the only proof of being saved through faith. And despite all the assaults of our spiritual enemies here, we must take comfort in knowing that God’s promise stands true every day: “to protect us and give us that hope of eternal life.” To bring us to that place, His place, where there’s no more sorrow, no more pain, no more tears, no more death…” Glory be to You Oh Lord!